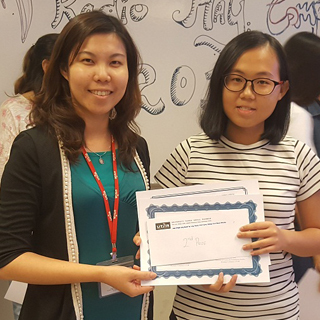 With the aim to instil the interest of students in language and writing, UTAR Centre for Foundation Studies (CFS) of Kampar Campus successfully organised a writing contest from 8 March to 3 April 2017 at Kampar Campus. The contest ended with a prize giving ceremony which was held on 12 April 2017. The first-ever writing contest, with an essay titled “Amazingly Malaysia” was open to all the Foundation students and it was also aimed to provide a platform for them to showcase their writing talents as well as their creativity in expressing their ideas in written form. Present at the prize giving ceremony were CFS Director of Kampar Campus Tan Lee Siew, CFS Lecturer from the Department of Arts and Social Science A. Amutha and Assistant Lecturers Lionel Keith Vytialingam and B. Shalini. 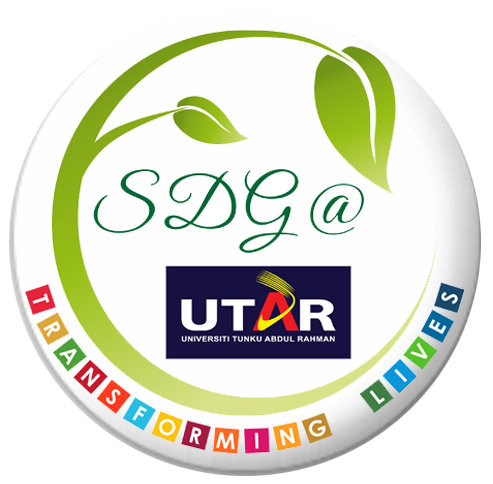 The contest saw the participation of a total of 22 participants. 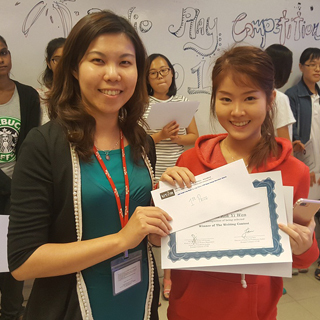 Out of 22 participants, three top winners who have delivered impressive writing skills were awarded with prizes. They were Gweneth Kok Yi Wen, Chen Pei Wen and A. Mary Melany who won the first, second and third prizes respectively. The top three winners took home RM200, RM150 and RM100 respectively. Each of these winners also received a certificate of achievement. 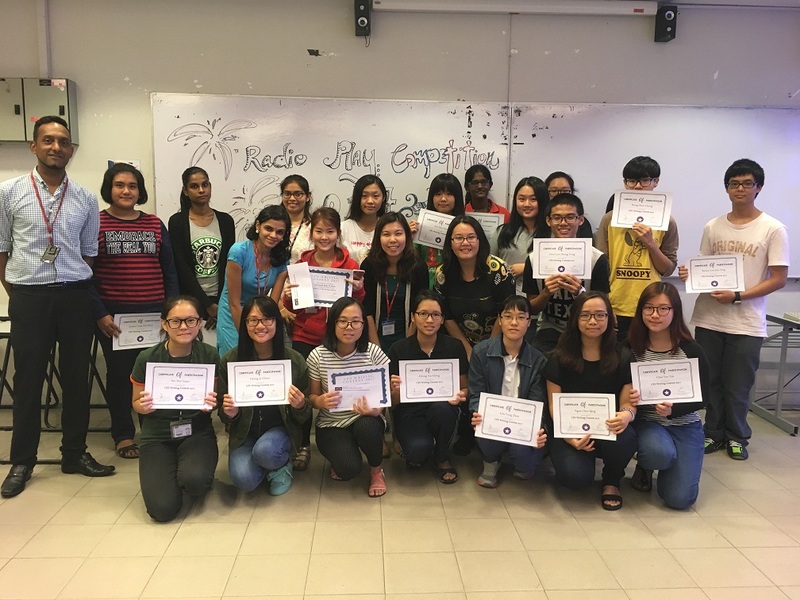 The 22 essay entries for the contest were represented by a wide range of not only diverse writing styles, but also insight and personal approaches to what it meant to be Malaysian and Amazingly so. The judges’ efforts in selecting the winners were rewarded with what they called “a pleasant and very fulfilling experience in taking a journey through” essays that exhibited expository and factual treatment of the topic Amazingly Malaysia, as well as some exceptionally creative interpretations of the topic. The top three essays were selected, after a tedious process of deliberation. The judges selected the most outstanding pieces of writing in terms of style, content and language handling.